Interchangeable & modular components between all Peak lines, along with the ability to add load bearing stack tiles, makes Hyer’s Peak Systems furniture the most versatile modular office product available. P55 is a 2.25” thick, metal clad, monolithic, stackable panel & load bearing panel system, with modularity and modern technology right out of the box. 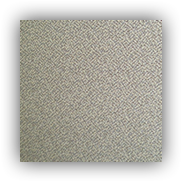 Panels are available in fabric over metal (W), fabric & glass (FG) and fabric & etched glass (FGS). All metal parts and components, pedestals, binder bins, open shelves, and trim pieces are powder coat painted for superior scratch resistance. Work surfaces are HPL Formica Laminate and come standard with a solid light gray finish on one side, and a SilverOak woodgrain on the other. Surfaces also come standard with a straight edged 2.5 mm PVC banding in matching light gray. All panels are stackable, even if they have already been installed, and stacks can be added to stacks! This allows for unprecedented flexibility in a panel system! The P-80 is a 3” (80cm) thick tile on steel frame, stackable system. Tiles can be glass, metal, fabric, or laminate. All metal parts and components, pedestals, binder bins, open shelves, and trim pieces are powder coat painted for superior scratch resistance. Work surfaces are HPL Formica laminate. Hyer offers a wide variety of finishes and finish combinations to chose from the fabric, trim finish color to the glass tile styles. Our glass finish options are clear, etched glass and smoked on special order. Our trim, storage and accessory finish shown in the image below. Available with casters as a ergonomic work chair or on a sled base as a guest chair Hyer's "E Chair" features a cushioned foam seat with an elastic mesh back. With the combination of our patented elastic mesh with a rubber suspension the E Chair achieves total comfort and ergonomic support like no other seating option available. Our synchronized tilt that provides continuous support following the users movements the E Chair helps users maintain comfort by evenly distributing body weight uniformly and features an upright forward back lock. The E Chairs back's tension is adjustable achieving vertical posture control, the gas cylinder is two stage allowing the appropriate seat height for any user. E Chairs five star base is shipped standard with carpet casters and its waterfall seat reduces pressure on the thighs. The E Chairs arms are adjustable by height and width. Stocked in black on black mesh the Hyer E Chair can be at your desk in five business days. Hyer's "Jennifer" is our cost effective ergonomic solution for today's workplace. Featuring simple controls to adjust seat, arm and back height and the backs reclining position the Jennifer is the perfect solution in the home office or workplace. Stocked in black seat and back the you can be on one of our Jennifer's in five business days.